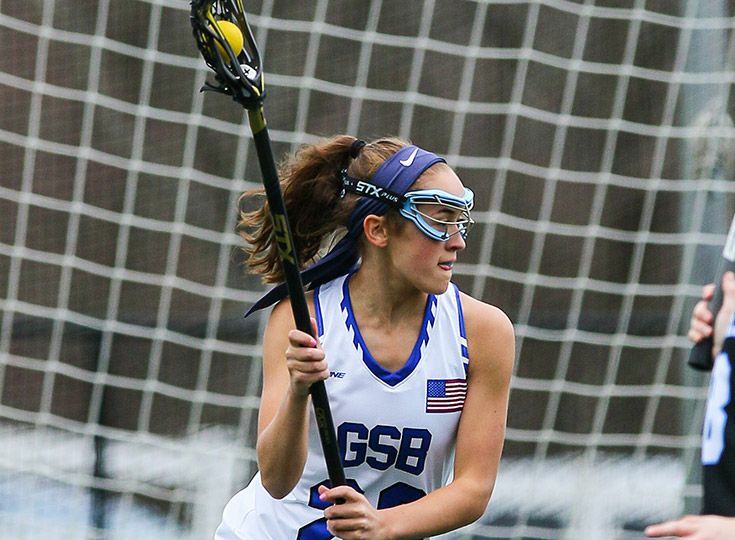 Last week, NJ.com designated Lauren Garcia as one of the 20 best freshman girls lacrosse players in the state. In her inaugural season with the Knights, Garcia has amassed more than 30 goals, including recent five-goal outings against Rutgers Prep and Governor Livingston. Garcia's presence on the team, along with other talented freshman players, including Lexi Yates, who has already garnered 21 goals this season—bodes well for the future of the program. Much of the team’s offensive success thus far has been driven by scoring powerhouses Mia Kirby '18 (50 goals this season) and Emma Dean '17 (43 goals this season), followed by Andree Aloise '19 with 32 goals and 14 assists. On defense, goalie Katherine Lioudis '18 has proven a vital contributor, amassing 167 saves thus far. To continue to grow, the Knights need to build depth from within the ranks, and the largest of those ranks by far is the freshman lineup of 14 players. In fact, that group accounts for more than half of the roster. According to Kristen Armstrong, assistant coach for girls' lacrosse: "This season is our most successful yet, with seven wins and counting. We have really strong leadership from the juniors and seniors, allowing the younger players to learn from them and really improve their game as a result. Our hope is that we will attract another big group of newcomers next spring to continue building the program and adding depth to the lineup." On Thursday, the team (sixth seed) faces third-seeded Pingry in the second round of the state tournament. It will be the first time the teams have played one another this season. On Saturday, NJ.com named the Knights a dark horse in the tournament, noting that Gill "has proven to be a dangerous team when they’re clicking."